Recent studies suggest that people who run are likely to live approximately three years longer than those who don’t. But, there are various types of running workouts available that can help you reach your fitness goals. Whether you want to tone up, get fitter, lose weight, or train for a race, treadmill workouts can help you. If you want to get back into exercising, a treadmill workout can be a great alternative. Luckily, you don’t have to run hours on end to see results. This beginner workout involves switching between walking, jogging, and running. For 40 minutes, alternate between 1-minute walking, 1-minute jogging, and 1 minute running. Increase the speed of your jog and your run as you progress through your workout. Make sure that you warm up and cool down with a light jog to avoid injuries. Running at an incline activates more muscles than running on level ground. the incline strengthens your glutes, quadriceps, and hamstrings while increasing your cardio. Treadmill workouts allow you to increase the incline of your run whenever you want. Plus, because of their various intensity levels, you can achieve results in 20 minutes. The key to a successful hill workout is to increase and decrease the incline over time. Start your run at a low speed and low incline and gradually increase both. Then, decrease both as you work your way into your cool down. If you have less time on your hands, start with a higher incline and speed and reduce both gradually. Research suggests that high-intensity intermittent exercise (HIIE) is an effective way to burn fat and lose weight. 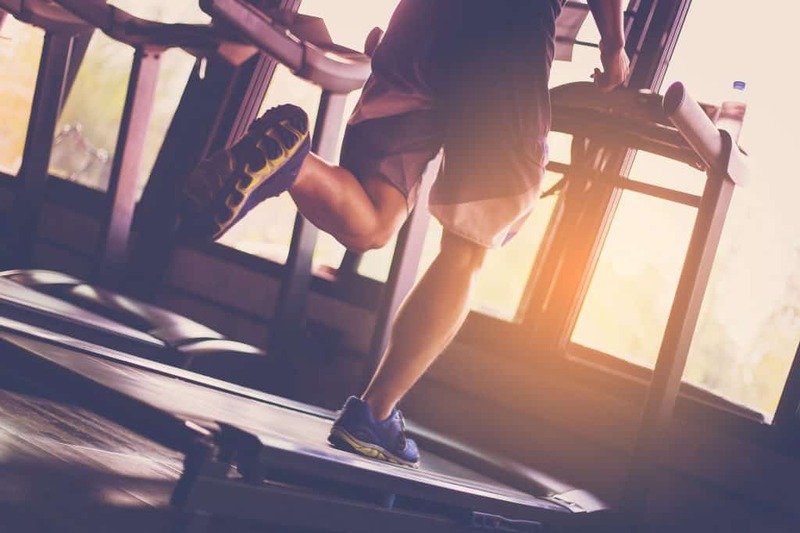 With this in mind, treadmill workouts that alternate between intervals of high speed, short jogs, and steep inclines, could be just what you need if you want to get leaner. Simply undertaking these types of workouts for 10 minutes can make all the difference. Start with a 5-minute jog to warm up and then switch between high speed, high incline, and light jogs every 30 to 60 seconds. You can do this for a total of 10 to 15 minutes depending on your level of fitness. Aside from the fat burning treadmill workout mentioned above, there are other routines you can do if you’re short on time. If you only have 10 minutes but want to challenge your muscles, focus your attention on the incline. You can either switch between high and low incline or, increase or decrease your incline throughout the duration of your workout. If you’d like to get your heart pumping, do the same workout but focus your attention on speed rather than incline. High-Intensity Interval Training (HIIT) plays a large role in regulating metabolism. This regulation can help treat common metabolic diseases. Today, there are thousands of interval treadmill workouts that range from 10 to 30 minutes long and more. Alternating an increase in speed and incline to make workouts progressively harder offers the best results. Try increasing your speed by 0.2mph and your incline by 0.3 every 30 seconds for 20 minutes. You can vary the length of your workout based on your fitness level and time restraints. Some treadmills come with their own preset HIIT workouts. When choosing the best treadmill for your workouts, make sure it has the right resistance and speed features. Aside from melting fat, speed interval training boosts your anaerobic power. The workout involves switching between shorter sprint intervals and longer recovery periods. For 20 to 30 minutes, alternate sprinting for 15 seconds with jogging or walking for 1 to 2 minutes. The key to successfully undertaking these types of treadmill workouts is to check your heart rate. Aim to reach approximately 85% of your maximum heart rate during each sprint. Then, bring your heart rate back down to 120 beats per minute during the recovery phase. To find out what your maximum heart rate is, subtract your age from 220. To improve your anaerobic and aerobic power, incorporate speed and endurance in your treadmill workouts. With these, you will learn to run faster, for longer periods of time. These workouts should last at least 20 minutes. They should switch between equal intervals of light jogs and fast runs. During this type of routine, you should feel like you are pushing yourself without going all out. The goal is to keep a steady rhythm for the duration of the workout, not burn yourself out. High-intensity exercise makes you burn calories even after your workout. The key to burning calories is longer workouts with speed intervals. Not only this, these intervals should be longer than when undertaking HIIT workouts. Try alternating between light jogs and fast runs every 2 minutes for at least 20 minutes. Gradually increase the speed of your run as you progress through your workout. Your last run should be very fast paced and should increase your heart rate to near maximum. If you want to burn calories, tone up, and improve your cardio, why not mix your treadmill workouts with strengthening exercises? Jumping on and off the treadmill will keep your heart rate up while strength training moves will target areas of your body that are harder to work out when running. You can design your training program based on the muscle groups that you’d like to work out the most. Treadmill workouts aren’t only limited to high-speed intervals. Using lower speed routines, you can improve your balance, coordination, and joint mobility. While keeping your treadmill at a very low speed, alternate between forward and sideways walking. This type of workout is perfect for those with limited mobility. Plus, by alternating speeds and resistances, you still get a full body workout that increases your cardio and strength. The key to choosing the best treadmill workouts to achieve your personal goals is buying the right machine. If you want to learn more about some of the best treadmills on the market, check out our 2018 buying guide today.